Members of Connells Point Sailing Club have sailed on the Georges River between Tom Ugly’s Bridge and Oatley for 75 years. An inaugural meeting in 1938 resulted in the first formal racing season in the 1940/41 season when eight boats competed. 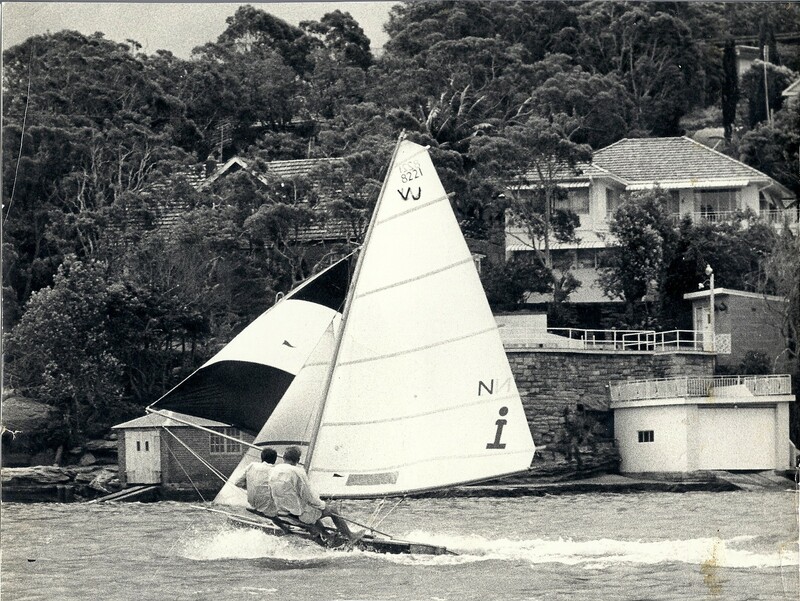 In the early days of the Club boats were all VJ class skiffs and they remained the dominant class until 1956. Enthusiastic sailboat racing has followed ever since with the boat classes ranging through VJs, Gwen12s, Moths, Pelicans, Herons, NS14s, Lasers, Sabres, Flying11s, Manly Juniors, Skyriders, and Optimists. Originally members sailed out of backyard river access. In 1950 a fund was established to help with the building for use as a Clubhouse, and shortly after a timber hut was purchased for £50. In 1965 the Club was allocated land in its current position and the next year the first meeting was held in the new Clubhouse. This was extended in 1984 to provide better boat storage and an increased meeting area. The clubhouse now enjoys good facilities and boat storage with grass areas for rigging. Connells Point sailors have always learned to cope with wind deflection from the river’s headlands and bays, strong tides, and shallow sandbars. Competitive club sailing throughout 75 years has culminated in CPSC sailors enjoying successes at State and National Class Championships, Olympic campaigns, and World Championships. Just as important to a family-based club are the numerous stories of heroic sailing days, “rapid learning episodes,” and embarrassing incidents on the water. Our Club is indebted to those sailors of the past who worked tirelessly to provide the facilities that we enjoy today. Over the years money has been raised, mainly through membership fees, the canteen and social functions, to provide our Clubhouse and to purchase our current three rescue craft, our start boat and our current fleet of training craft plus other associated equipment.